CoQ-Max with Curcumin: high absorption coQ-10 and curcumin, combined! This dynamic duo of Cavacurmin™ and HydroQsorb® provide curcumin and CoQ10 in highly absorbable forms – helping your body with balanced inflammatory response and powerful antioxidant support. Who doesn't want to feel younger and have more energy and endurance? CoQ10 is a vitamin-like nutrient that plays the starring role in energy production within every single cell in your body. Unfortunately, CoQ10 levels in our bodies decline as we age. Daily CoQ10 is the key to lasting natural energy, vitality, and endurance. In fact, studies show that a daily CoQ10 supplement can boost your energy and endurance by up to 20% in no time at all! CoQ10 is so powerful and important, even mainstream doctors are prescribing it to their patients. It’s one of the most highly studied antioxidants. But unless your CoQ10 was made with this cutting-edge absorption technology, you may not be seeing the benefits. We’ve formulated CoQ-Max with 100 mg of HydroQsorb® which is 300% more absorbable than ordinary CoQ10. But that’s not all...for even greater antioxidant and added anti-inflammatory protection, CoQ-Max also includes 500 mg of Cavacurmin™ -- a proprietary form of curcumin that is proven to be up to 40 times more absorbable than ordinary curcumin. 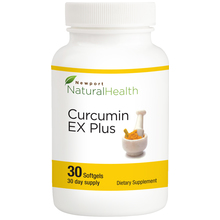 Curcumin has been used for centuries and has over 150 health benefits. Do something powerfully simple for your energy, heart, and body. Are you looking for a lasting, natural energy boost? The best way to do that is to fuel your heart and nourish every cell in your body with CoQ10 and curcumin. This dual-action formula can give you the perfect combination of energy-fueling and antioxidant protection for a difference you can feel. Backed by literally hundreds of peer-reviewed studies, these two ingredients are must-haves for lasting energy and optimal heart health. HydroQsorb® CoQ10 is a next-generation form of CoQ10 shown to have more than 300% better absorption than ordinary CoQ10. CoQ10 is best known for supporting cellular energy production, providing antioxidant protection, and supporting overall heart health. Cavacurmin™ is a proprietary form of curcumin that has shown to be 40 times more absorbable than ordinary curcumin. Curcumin is widely known for providing antioxidant protection as well as supporting a balanced inflammatory response throughout your entire body--providing many health benefits to your heart, brain, joints, and more. Other Ingredients: gamma-cyclodextrin, hypromellose, silicon dioxide and L-Leucine. HydroQsorb® is a registered trademark of Tishcon Corp. It is a microencapsulate of Ubiquinone USP with gamma-cyclodextrin. CavacurminTM is a trademark of Wacker Biosolutions. It is a microencapsulate of Turmeric rhizome extract (Curcuma longa) with gamma-cyclodextrin. CoQ-Max with Curcumin contains proprietary, highly bioavailable forms of CoQ10 and curcumin. CoQ10 has been clinically shown to support cardiovascular health and curcumin helps promote a normal inflammatory response. Suggested Use: As a dietary supplement for adults, take two (2) vege-capsules daily with a meal, or as directed by your healthcare professional. ALLERGY INFORMATION: This product contains no milk or milk by-products, egg or egg by-products, fish or fish by-products, shellfish or shellfish by-products, tree nuts or tree nut by-products, wheat or wheat by-products, peanut or peanut by-products and soybean or soybean by-products, or sodium. WHAT TO KNOW IF YOU'RE TAKING MEDICATION: CoQ-Max is safe for most people to take. However, if you are pregnant or lactating, or taking blood thinning prescription medications, including Warfarin (the brand name for this drug is Coumadin) or Plavix, consult a health care professional before taking this product. CoQ-Max should be kept out of the reach of children. Newport Natural Health knows that CoQ10 and Curcuminoids are essential antioxidants that are vital for optimal cardiovascular, joint, and overall health. Unfortunately, both of these ingredients are difficult to absorb. To overcome this challenge, we created CoQ-Max – a unique blend of microencapsulated CoQ10 and Curcuminoids combined with gamma-cyclodextrin. Cavacurmin™ is more than 40 times more absorbable than standard curcumin extracts, while HydroQsorb® is more than 7 times more absorbable than regular CoQ10! CoQ-Max is an easy way to add effective doses of highly bioavailable CoQ10 and Curcumin to your regimen with only two vege-capsules daily. CoQ-Max is designed for anyone looking for extra antioxidant support and highly bioavailable forms of CoQ10 and Curcumin. It is also ideal for anyone eager to normalize their inflammatory responses to maintain a healthy cardiovascular system, comfortable joints and age gracefully. Ubiquinone is a coenzyme found naturally in the body that enhances cellular energy by giving the mitochondria the fuel they require to make energy. CoQ10 increases cellular oxygen uptake. CoQ10 helps increase mitochondrial cellular energy, giving you more energy. Supports cardiovascular health by helping to promote normal blood pressure levels and heart function. May help support normal cholesterol levels. CoQ10 is also a powerful antioxidant that helps scavenge free radicals, and is especially beneficial for the heart, as this muscle contains more mitochondria than any other organ, and consumes a high level of energy. HydroQsorb® combines CoQ10 with gamma-cyclodextrin, a type of glucose molecule with a hydrophobic (fat loving) center and a hydrophilic (water loving) exterior. It essentially binds to and wraps around the CoQ10, allowing it to become water dispersible, making it easier to absorb. A human clinical trial indicates that HydroQsorb® is up to7 times more bioavailable than standard CoQ10. Curcuminoids are the active components of turmeric; however they are large, fat-soluble molecules that are difficult to absorb orally. Cavacurmin™ Turmeric Curcuminoids Complex® combines turmeric root extract with gamma-cyclodextrin, a type of glucose molecule with a hydrophobic (fat loving) center and a hydrophilic (water loving) exterior. It essentially binds to and wraps around the curcuminoids, allowing them to become water dispersible and easier to absorb. A small, human clinical trial indicates that Cavacurmin™ Curcuminoids Complex is more than 40 times more bioavailable than standard curcumin. Curcumin helps to promote a normal inflammatory response, and preliminary evidence suggests that curcumin may help to support optimal cardiovascular, mental, and overall health. Preliminary evidence also suggests that curcumin may promote phase II-metabolizing enzymes, which supports liver detoxification. This helps the body rid itself of waste, which may play a role in accelerated aging. HydroQsorb® is a microencapsulated form of ubiquinone USP with gamma-cyclodextrin. This product contains no milk or milk by-products, egg or egg by-products, fish or fish by-products, shellfish or shellfish by-products, tree nuts or tree nut by-products, wheat or wheat by-products, peanuts or peanut by-products, or soy or soy by-products. CoQ-Max is naturally gluten free. It contains no artificial colors or preservatives. This product is also sugar free. Gamma-cyclodextrin, hypromellose, silicon dioxide and L-Leucine. CoQ-Max is safe for most people to take. However, if you are pregnant or lactating, or taking blood thinning prescription medications, including Warfarin (the brand name for this drug is Coumadin) or Plavix, consult a health care professional before taking this product. 12. Can I take this product with Newport Natural Health’s other recommended nutritional supplements? Yes, CoQ-Max is designed to be taken with all of the products in the Newport Natural Health line. Every batch of CoQ-Max is tested for lead and heavy metals. Each batch is delivered to Newport Natural Health with a Certificate of Analysis from the manufacturer stating that the products are free from heavy metals or within the limits set by California’s Proposition 65 – the most stringent in the country. Take two (2) vege-caps daily with a meal, or as directed by a medical professional. 17. How many tablets are in the bottle? My family has been taking CoQ max for a few months. We all notice improved energy levels and endurance. I can tell CoQ max has helped with my memory too. We choose products that are natural and effective, this product is great. Yes! This has reduced the pain I have been living with. only taken it a short time. I don't know [what difference it has made in my health]. I have only taken it a short time. I trust your products. I don't feel any difference in how I feel. I was buying the chewable COQ10 and Curcumin EX. This is cheaper than the two Having taken the two supplements for several years. So far good. I’m also taking another product and feeling the results. I think it’s too early to tell for the Qmax. I’m also taking enhanced sexual formula and after two months it’s great! we keep getting good results. I haven't noticed that much difference since I have taken COQ-10 for years and have a number of health problems, but my husband swears that it made a huge difference in his last check-up with his special cardiologist [...] and the only difference was that he had been taking COQ-10 Max. It made a difference in my life. Improved overall health and well being. It seems to be helping me so far. Can't exactly ascribe anything specifically to this product, I take a number of supplements for a variety of reasons, but unless one has a known heart problem, and symptoms subside, one can't exactly say that the supplement actually accomplished something intangible. Hard to ascribe efficacy to a supplement like this, unless one has symptoms that disappear upon taking it, but hopefully it WILL be effective in strengthening heart health.